Current scientific research and theory, and conservation experience tell us that, to do serious conservation in North America, we must do conservation on the scale of North America. Furthermore, history, policy analysis, and conservation experience tell us that, to be effective in conservation work of all kinds, we must be guided by vision, strategy, and hope. To develop and promote the ideas and strategies to advance continental-scale conservation in North America, particularly the need for large carnivores and a permeable landscape for their movement, and to offer a bold, scientifically credible, practically achievable, and hopeful vision for the future of wild Nature and human civilization in North America. The Rewilding Institute first serves wild Nature. But to serve wild Nature, we serve North America’s wonderful grassroots conservation community. We do not compete with other conservation groups, and we strive to share credit. Our projects are geared to provide that support. Rewilding Institute Projects are summarized below; more information is available or forthcoming on other pages on this website. The Rewilding Institute works to bring the science of conservation biology into both the big-picture and the day-to-day work of the wildlands and wildlife conservation movement, whether grassroots, professional, or agency. Through public presentations, educational materials, and a website, The Rewilding Institute explains the need for rewilding on a continental-scale. Executive Director Dave Foreman gives dozens of presentations to a variety of audiences every year. Fellows Dave Parsons, Bob Howard, and Don Waller give PowerPoint presentations on The Rewilding Institute and the science behind it. Fellow Oscar Moctezuma is available to give presentations in the U.S. and Canada on jaguar protection efforts in northern Mexico. Other Fellows give many presentations on different aspects of continental-scale rewilding. The Rewilding Institute website lists upcoming talks and appearances by Rewilding Institute Fellows and is a source for scheduling future appearances. Go to the Fellows Page to schedule talks. The Rewilding Institute is producing educational materials on the need for rewilding: the recovery of top predators and their wild habitats. Dave Foreman’s book, Rewilding North America, covers rewilding and continental-scale conservation in detail and is available on TRI’s website. (Foreman is currently at work on two new books—The Myth(s) of the Environmental Movement and The War on Nature.) Papers by Fellows and others on the ecological concepts behind rewilding can be downloaded from TRI’s website. Books by Fellows are available for purchase through the website. Dave Foreman and other Fellows representing The Rewilding Institute provide direct aid to frontline conservation groups throughout the continent. For example, in the last year, Foreman has been featured in fundraisers for the Cascades Conservation Partnership (Washington), New Mexico Wilderness Alliance, Forest Guardians (New Mexico), Aspen Wilderness Workshop (Colorado), the High Country Citizens Alliance (Colorado), and the Northern Jaguar Project. He has worked with Patagonia Company on their Vote Environment campaign, the Sierra Club’s hunter-angler outreach campaign, Green Corps, the Wild Farm Alliance, and other activist groups fighting the industrialization of our wildlands. Other Fellows do similar work. Fellows also serve on boards of directors and advisory boards for dozens of on-the-ground conservation groups. The Rewilding Institute website is designed to serve the whole conservation community as a resource for using science in conservation. Through easy-to-understand text and informative graphics, TRI’s website explains the basic concepts behind continental-scale conservation. It offers downloadable papers from leading scientists on these topics. It identifies the important books and provides links to Island Press and Amazon for their purchase. Click-on links are provided to dozens of North American conservation groups working on different parts of the continental-scale conservation puzzle by category of their work. The website provides information on public appearances by Rewilding Institute Fellows and allows groups to schedule talks by Fellows. It also gives short biographies of Fellows. With The Rewilding Institute website as a comprehensive reference resource, no longer do conservationists, agency professionals, academics, students, the media, and the public have to spend days searching for information. The Rewilding Institute is developing guidelines for using ecological criteria to select and design Wilderness Areas and other protected areas so that they better protect wild habitat and wildlife movement permeability. TRI has also drafted priority reforms for public land management that would help rewilding and continental-scale conservation. Conservation Fellows are developing strategies on how to get conservation groups to embrace these approaches and how to implement them on the ground. Having such a program already developed will give conservationists a jump-start in working with a conservation-friendly administration, congress, or parliament when they are finally elected. Rewilding Institute Fellows met this summer in Albuquerque to form a working group on this project. Rewilding Institute Fellows will soon meet with other land scientists, conservationists, and agency managers to discuss the issue of appropriate ecological protection and restoration in Wilderness Areas. How do we return wounded landscapes in protected areas to robust good health? How do we restore extirpated species, particularly large carnivores, beavers, and prairie dogs? How do we restore natural fire and flooding? How should invasive exotic species be fought in Wilderness? Out of this workshop and working group, The Rewilding Institute will prepare guidelines and other materials. Recent fossils and current field research show that jaguars are not only tropical and subtropical cats, but lived in temperate habitats throughout much of what is now the United States. Today’s northernmost breeding population of jaguars (about 120 total animals) is in Sonora, Mexico, little more than 100 miles south of the Arizona border. This population is the source for the jaguars that have been photographed in Arizona and New Mexico recently. 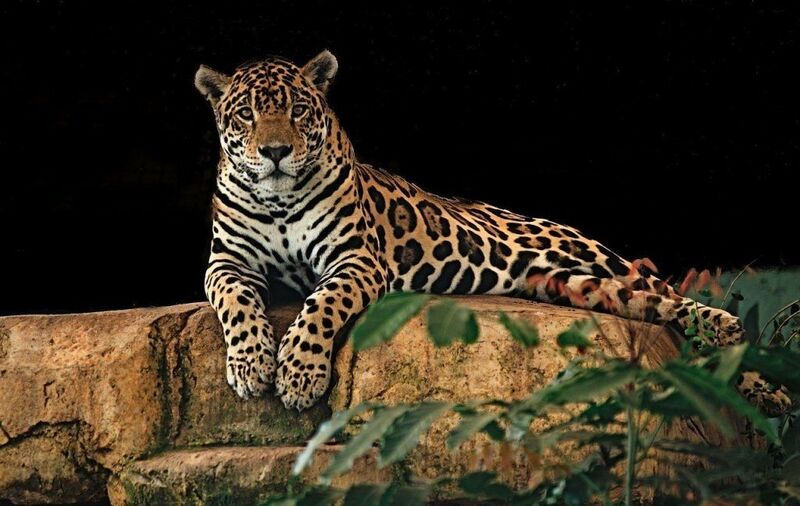 Led by Mexican biologists and the Mexican conservation group Naturalia, the Northern Jaguar Coalition is raising money to buy ranches in the core of the jaguar range so the big cats will be safe from poaching. One 15,000-acre ranch has been purchased and is under management by Naturalia. Additional ranches for purchase have been identified. If this jaguar population can be protected, it will expand, and more young jaguars will head off to good, safe habitat in the southwestern United States, which will then have a breeding population. The Rewilding Institute is helping to raise funds from zoos and other sources to buy more ranches and manage them. The Denver Zookeepers association just collected $3000 for the project and sent it to The Rewilding Institute for transfer to the ranch purchase fund; we are working with Margo McKnight of the Wildlands Project to raise additional money from zoos. Dave Foreman and other Fellows helped with a major fundraising event in Santa Fe this fall for the Northern Jaguar Project. The Rewilding Institute is spreading the word about this remarkable opportunity by helping to bring Naturalia’s director and Rewilding Institute Fellow, Oscar Moctezuma, to the United States for public talks, such as one this fall in Albuquerque. For the last several decades, conservation groups, agencies, and academic biologists have worked to restore wild species to their native habitat. The return of the gray wolf to Yellowstone National Park is perhaps the best-known success. However, these recovery efforts have been scattered, piecemeal, and largely uncoordinated. They have, in short, lacked a vision. Rewilding Institute Fellows and other experts are developing comprehensive visions for the recovery and protection of highly interactive species in North America. Wolf and mountain lion (cougar) visions have been prepared and appear on TRI’s website. Other visions are in development for species ranging from jaguar to prairie dog to grizzly bear. The Rewilding Institute, its Fellows, and cooperating groups work to promote these visions as guidelines for full recovery. At the Carnivores 2004 Conference in Santa Fe this fall, wolf protection groups in the greater Southwest endorsed TRI’s Wolf Vision. Plans are being made to further promote it and use it as the overarching wolf recovery strategy in temperate North America. See the Wildlife Vision Page. MegaLinkages are the centerpiece of a continental conservation vision. The Rewilding Institute and the Wildlands Project are working together with other groups to design and implement a North American Wildlands Network made up of core wild areas and wildlife linkages. The Rewilding Institute emphasizes the big picture of the continental network along Four Continental MegaLinkages (Pacific, Spine of the Continent, Atlantic, and Arctic-Boreal), while the Wildlands Project works on the design and implementation of detailed regional wildlands networks, which will make up the continental network. TRI will convene meetings at appropriate zoos to draft MegaLinkage maps. The MegaLinkages will identify large core wild complexes and areas of landscape permeability connecting them that are suitable for recovered populations of large carnivores. Highways, other barriers, and fracture zones for wildlife movement fragment even the wildest regions of North America. The Rewilding Institute encourages the identification of the most serious barriers and building wildlife overpasses or underpasses across them. Recent efforts have shown how this is possible. For example: The South Coast Wildlands Project worked with other conservation groups, government agencies, and Caltrans (the California transportation department) to identify priority barriers for mountain lions in southern California. Caltrans has removed an on-off ramp on the Riverside Freeway and converted it to a mountain lion underpass to link up habitat cut by the freeway. The Cascade Partnership in Washington has raised tens of millions of dollars to buy tens of thousands of acres in Snoqualmie Pass along I-90 to restore linkages for wolverine, lynx, and other species. In the summer of 2003, the New Mexico Department of Fish and Game, other state and federal agencies, The Rewilding Institute, other conservationists, and the NM State Highway Department held a workshop to identify the most troublesome barriers to wildlife on the state highway system and to set priorities for modifications. An active local citizens group with participation by The Rewilding Institute, the Wildlands Project, and state and federal agencies is now working to include wildlife undercrossings or overpasses on reconstruction of I-40 in Tijeras Canyon east of Albuquerque. Rewilding Institute Fellow and Executive Director of the Southern Rockies Ecosystem Project, Monique DiGiorgio, has organized workshops throughout Colorado with the highway department and others to identify highway barriers and solutions. Similar programs are underway in California, Washington, Oregon, and other states. Zoos and aquariums in North America are a powerful new ally in continental-scale conservation. Michael Soulè and Dave Foreman have spoken to popular sessions at the American Zoo and Aquarium Association (AZA) at their last three conventions. During the last year, Dave Foreman gave well-attended public talks on behalf of the Toronto Zoo, Oregon (Portland) Zoo, Woodland Park (Seattle) Zoo, and Brevard (Florida) Zoo. Such talks reach new audiences and inspire zoo staff and supporters. Former Brevard Zoo Director Margo McKnight, a TRI Fellow and the new Executive Director for the Wildlands Project, is coordinating a partnership with zoos. We are working with zoo staffs on developing the message of continental-scale conservation in zoo displays and educational programs and materials. In addition, TRI hopes to showcase the good work zoos have done on captive breeding, reintroductions, and such to the conservation community; integrate zoos into the local conservation community; have zoos host conservation meetings; develop a partnership of zoos that wish to work on continental-scale issues; and pursue joint funding. A focus of TRI’s outreach and education program is finding nontraditional allies for continental-scale conservation. The Zoo-TRI effort is the best example of not speaking to the choir. In addition, Dave Foreman and Conservation Fellow John Davis are working with the Wild Farm Alliance to integrate continental-scale conservation approaches into farming and ranching with the wild. 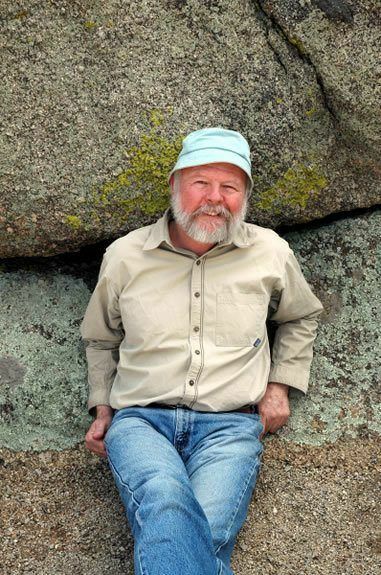 Dave Foreman is working with the Sierra Club on bringing hunters and fishers together with other conservationists (Fellow Bart Semcer runs this Sierra Club program). Fellows are also working with professional wildlife and wildlands staff in state and federal agencies. By consciously reaching out beyond conservation activists, The Rewilding Institute hopes to educate and activate larger parts of society to get behind rewilding North America. The Rewilding Institute believes it is essential for conservationists to be guided and uplifted by a bold, scientifically credible, practically achievable, and hopeful vision for the future of wilderness and biodiversity in North America. The need for such a hopeful vision is even more acute today, when wildlands and wildlife are under growing assault and when even the bipartisan conservation laws of the United States are being undermined. The Rewilding Institute stands out in the conservation community as the messenger for an inspiring and hopeful vision for twenty-first century conservation. The organizational philosophy of The Rewilding Institute is to stay small, lean, and focused, with minimum overhead, staff, and bureaucracy, so it can better concentrate on visionary conservation and on working with partners.